Tags: Jason Koon, John Cynn, Justin Bonomo, Mikita Badziakouski. Posted on Wednesday, January 02, 2019 by "T". The year 2018 closes with Justin Bonomo sitting on the throne as the biggest winner in the world of tournament poker. 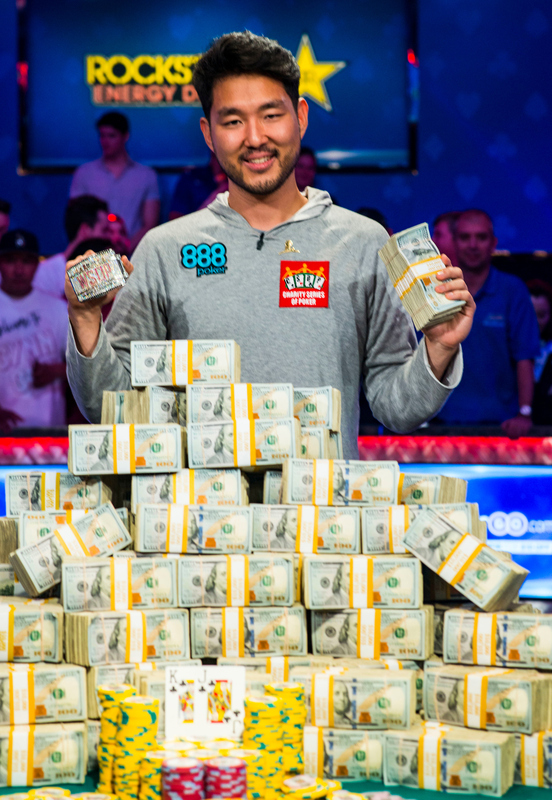 Thanks to his incredibly successful run in 2018, he became the poker player with the most wins who earned over $25 million in 12 months, plus he was able to secure a spot in the Poker Hall of Fame 2026 (the year he reaches the age requirement). The poker community is amazed at Bonomo's brilliant achievements since he had set the single-year record for highest gross tournament wins, worth $25 million! He even surpassed Daniel Negreanu as the all-time live tourney wins leader at over $43 million. Check out Bonomo's list of wins here at the Hendon mob site. Everyone would agree that this insane amount that "ZeeJustin" won in just one year is more than sufficient for one to be financially set for life, as long as he manages his money wisely. 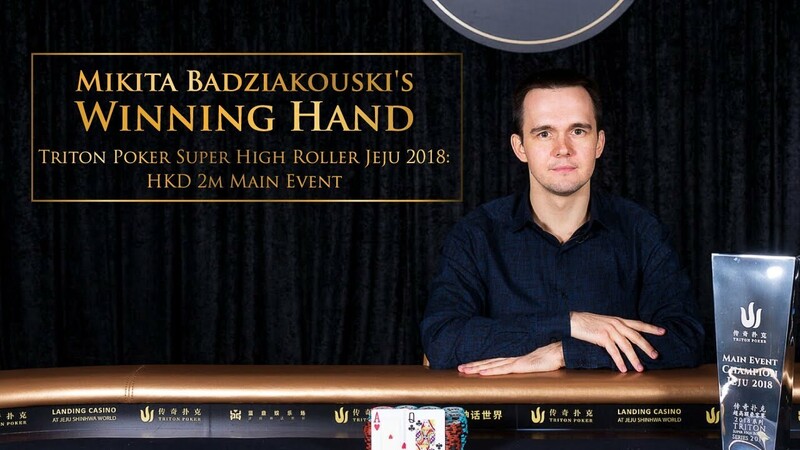 Coming in at 2nd place for the poker player who's won most in 2018 is Mikita Badziakouski as he managed to win $14 million and has become one of the highest-earning up-and-coming high rollers of the game. While not your typical boisterous player while at the table (which may be the main reason why a lot of people haven't heard of him yet), his quiet demeanor hides someone who actually plays really great. The Belarusian crusher, in his own quiet way, won an amazing $14 million in live tournaments in 2018, which brought his total live tournament earnings to the $20 million mark. 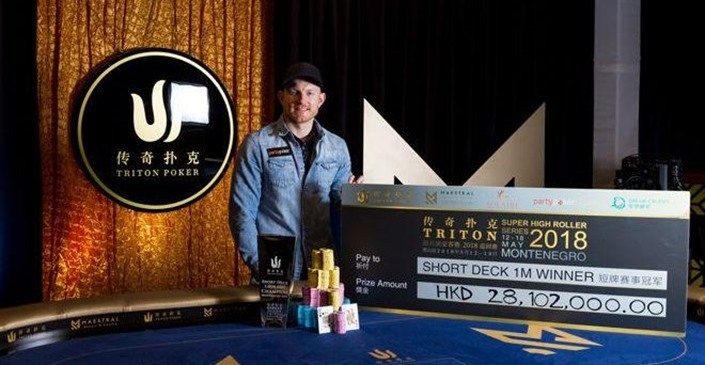 From May to October, he has won at least $1.6 million four times, which also includes the biggest score of his career - a splendid $5.25 million for winning at the Main Event at the Triton Poker Super High Roller series in Jeju, South Korea. partypoker pro Jason Koon also set a new record for his name when he won first place in May in the HK$ 1M NLHE at the Triton Poker Super High Roller series in Montenegro for $3,579,836! In total he has collected over $11 million in cashes in 2018. One of the best players in the world of poker within the past five years, Koon has now exceeded the $23 million lifetime milestone. John Cynn gets 4th place in the list of poker pros who won the most in 2018, with $8.8 million. His current best live cash is a big whopping $8.8 million, which is he won at the WSOP $10,000 Main Event in July 2018. This goes to show that winning the WSOP Main Event is one of the events that can definitely change one's life forever and catapult your name to the list of the most successful players in the poker world. 18 comments for "Justin Bonomo is the Biggest Tournament Winner in 2018"
Well, what can you say now. He won 25 million in a single year from tournaments alone. He might had sold action but still, this is how you figure your earnings. also. And the total earnings of 43 millions is amazing. Besides two, all other players are from USA. And he is just only 33, it is very young compared to the others in the top 10 all time money won. He can set a record which will be very very tough to break. This player has been exaggerated of ambitious and he learned poker very much. After 10 years or more of online poker and few years of live Justin Bonomo managed to amaze the poker world. Money earned by him in one year, makes envious any talented poker player or professional. He had beautiful performances and now it is appreciated by many people. Now he's a serious player and he demonstrated that. Obviously, these ratings cannot be trusted if they do not take into account buy-ins. Take, for example, Isaac Haxton, who has $20 million in prize money. I suspect he's in the black, but I'm not sure, given the number of tournaments he plays and their buy-ins. This year, there are players who buy-ins spent $6 million someone of them can be a prize of $5 million, it looks cool, but in reality it is minus a million. Justin is certainly a great tournament player-you can not argue with this. You can take 40 random players, put them to play expensive tournaments among themselves, and sooner or later they will all visit the top of the rating, even the weakest. What do these lists show? Nothing but statistics showing your winnings. But how relevant are they? Take, for example, T. J. Cloutier, had $10 million that he won in cheap tournaments for $300-500. yes this year there is many articles in bankrollmob about Justin bonomo I read it is to me personally super amazing results for him, I not understand how good players you have to play to win so many 1st place finishes when you always play versus best players in the world. to get even better with more good results. wow,this is sick number and sick amount that he won in just one year!when you see how one player can earn this kind of money,you think that isnt possible!I see that he have more then 43 millions in career and for me would be interestin to see how much he have from this 43 millions in this moment and how much this he spend in this years on buy in for tournament,how much did he lost and everything! When you think about poker and to the money won by Justin Bonomo, you can say: it's a lot and it's hard to believe, but if we think in other areas, we can see how some people earn millions over millions. 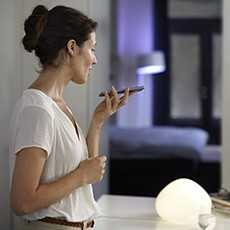 Times have changed a lot in recent years and the internet has enriched a lot of people very quickly. Poker has grown even more because of the internet and then because of the televisions. It's great to know that the internet puts bread on the table for a lot of people in this world. That's why many players win many millions of poker. Advertising has brought a colossal plus for many things. who know what he will do in this year,when he had such a great 2018.!when you win such a big amount,its hard to repeat in next year!but in other hand he can play without any pressure,when he have such a big bankroll behind him and he will not regret if he lose on few tournament with buy in 10 or 20 K! Justin Bonomo had no emotions before of the year 2018. I do not think he expected that luck, but these millions of dollars after taxes, will make him to play into the continuation. He want more and need to keep position 1 in that ranking. It's in good shape and he will continue to distance themselves from the main followers. I agree with those who believe that Bonomo will continue the game. And I think he will play both 10K and 20K and more expensive tournaments. After all, a professional player because a professional that does not stop there. He raised the bar very high. And keep it will be Oh how difficult. I will be happy to follow its results in 2k19 year.